Brambles Bed and Breakfast - Tiverton - Reviews - 20130318 - This place is not too far from the M5 motorway but just enough off the main touristy areas. 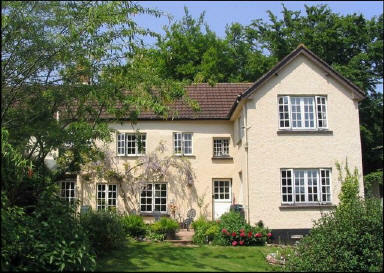 Brambles Bed and Breakfast - Tiverton - Review - 20130318. Off the beaten track. This place is not too far from the M5 motorway but just enough off the main touristy areas. So if you like the peace and quiet of the country side and also close to attractions of the local areas it’s really perfect. The host is very welcoming and extremely accommodating (especially at the breakfast table). Nothing is too much trouble you only need to ask. Accommodation was spotless and tasteful in decoration. We stayed in the annex which is comfortable with all the comforts that a lot of B&B places do not cater for. Very cosy. Slept very easily. Good 1 night stay. B&B was in quiet hamlet down narrow country lane. Very peaceful. Pub was less than a mile away for evening meal. Accommodation was clean, good value for money and the owners were very helpful with any queries I had. Pleasant and welcoming. If I am in that area again I will book there again. Really nice place to stay. Quiet and comfortable, excellent breakfast and cheery landlord.